OK, this is a topic I would be nervous talking about except in a place like this forum where we have some anonymity. A fellow prepper friend of mine told me he opened his safe and found that the cash he put in it had gotten moldy. I have a second safe in a hidden location that I don’t get into often. I had put some desiccant into it when I sealed it, but I haven't gotten into it in about 2 years. I just opened it to check it and I found the cash definitely has some minor mold and a musty smell. I had small bills in $100 bundles held together with a paper binder and the money also had rust stains where bare metal touched it. The money is still usable, but I am going to deposit most of it and get new to replace it. The older more worn bills looked the worst, so I am wondering if the mold starts when people carry it in a wallet or pocket. I am looking for recommendations. If my friend and I have both had this problem then I am sure some of you have as well. What is the answer? Do I need to cycle the money periodically? Probably a good idea as they change the bills occasionally, but it would be a real pain to do this on a regular basis. Do I vacuum seal it in plastic bags? What is the answer? Here in California I don't usually have to worry much about mold or rust. For a long time I kept my cash stash inside a flimsy cardboard box in the cheap small fire safe I file my financial stuff in without any problems. A few years ago I decided to up the security of the stash by putting it, along with some documents, video tapes and hard drives, inside a Honeywell fire box and then putting the Honeywell into my gun safe, sort of a double fire protection setup that's a lot harder for someone to haul away and break into. I've never had moisture issues with my gun safe, no rust, nothing. So I was surprised when I went to get something out of the Honeywell and found that everything made out of paper was damp , smelly, and the bills were moldy. The video tapes and drives were fine, but everything paper-based had absorbed a noticeable amount of moisture. The guns were fine, so the moisture was confined inside the Honeywell. 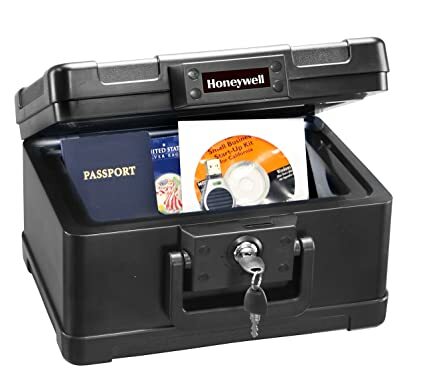 After a little research I learned that the Honeywell fire box is surrounded by an insulation that contains a bunch of loosely bound water, which is why they're so heavy. In a fire situation, the plastic of the box fuses the contents inside and the outer insulation vents evaporated water over a specific period of time in order to keep the contents cool and then once the box is recovered from the ashes you take a hacksaw and cut it open to get the contents out. Although I could never find a defect in the plastic, I think that the inside storage compartment of the Honeywell was in contact with the wet insulation material and the increase in humidity was absorbed by the paper currency. I've tried other Honeywell boxes since and haven't found the same problem, so that particular sample must have been defective. I dried out by damp, moldy currency by clamping the stack at one end in front of a fan outside in the direct summer sun for several hours, then clamped the other end the same way in front of the fan for a few more hours. What mold didn't blow away during the drying process was easily wiped off and in the end the bills looked pretty normal, so I didn't exchange them for new ones since the denominations were all of the most recent issue. I got a new Honeywell for inside the gun safe, but to be safe I put the bills inside a small water proof Pelican Micro Case and haven't had a problem since. I thought about vacuum sealing it, but it's a pain to reseal the bag when you pull a few bills off the stack for something, plus I've had seal failures on some of my vacuum bags, but the Pelican stuff has never failed me. Bills are going to pick up mold spores, bacteria, you name it. As the Jurassic Park quote goes, "Life finds a way." Spores plus food in the form of paper, that's needed is water. Chemical dryers like Damp-Rid can help, but they're a salt. Not table salt, I forget the exact chemical, but a salt nonetheless. Salt's not going into my gun safe, but dryers are a help in keeping my truck's interior mold-free in damp weather. If you have a separate, relatively air-tight container for non-coroding things like paper bills, it might work for you there. Alternatively, you might gently warm the bills in an oven and then mylar seal them. It'd be a little work and they wouldn't be as accessible (maybe a good thing). 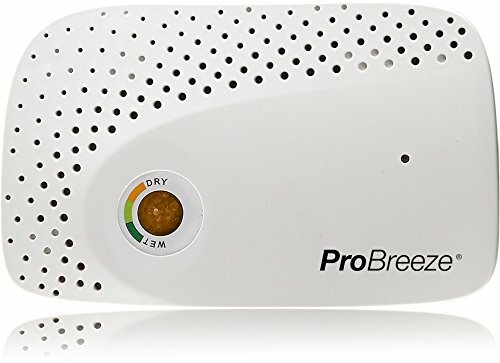 My solution though is a whole-house dehumidifier, but that's probably overkill for you. I was having problems with the whole house though, not just a few bills in the safe. Mine is in a small safe inside the big safe inside the house and I haven't had issue with mold. I think the reason for this is I open the safe from time to time (at least once a month or two) for other purposes. I have 2 external hard drives that I back up my computer data on, one is in the safe and the other in a handy grab and go location. At least once every couple months I update the grab and go hard drive and then swap it out with the one in the safe and update it as well. This process makes me open up both safes to do, which allows new air and light to get inside and would show any early signs of damage due to mold or other issues. Short of installing a moisture control heating element in your safe, having a maintenance item like mine is your best option. This would be even more necessary and frequent if your safe isn't in an environmentally controlled structure where it would be possible for a high heat and/or humidity condition to exist inside. How about vacuum packing the cash with a desiccant packet? 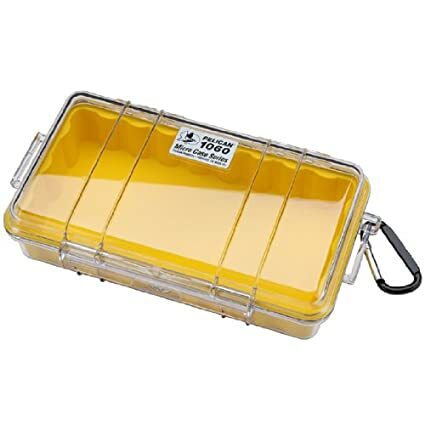 I would think that the Pelican case would work fine with a desiccant packet also. Maybe one of those Mason jars with the rubber seal and wire clamp thing. But I think any solution needs to include desiccant. But cycling the cash out periodically would work great. Yep, I'd go with vacuum packing. I had some stinky cash once. Now I use one of these. Recharge once a quarter or so. Problem solved. Ours is just in a cabinet, wrapped in cloth. This brings to mind a question i hadnt thought much about. How much cash do you keep stored? Ive probably got a few hundred laying around at any one time but its not really stored...it just hasnt been spent yet. Not a whole lot, and like yours, unspent. I lost a bunch of it when I had the boating accident. I don't have any set amount. I tend to keep anywhere from $500 to $2500 in various places at any given time. I know of some folks that keep several months worth of their bills in cash on hand. I know that there's a possibility of a run on the banks, but I don't feel that's very likely. I know it's probably not what you're looking for, but. . .have you considered converting it into gold or silver coin? Probably the most likely threat is fire... I would look at some sort of fire proof (resistant?) safe/cabinet. I've often thought of that, but just haven't pulled the trigger on one. Something small enough to embed in the floor, under something. I know of somebody that vacuum sealed a stash of aper bills 5-7 years ago and still good. I forget who that was. As long as there is no "use by" date on it, this should work. Wouldn't of thought to worry about that before, good to know now. Perhaps moisture packets in sealable bags?